Actress Rachel Shenton with Child of Courage nominee Billy Heslop. Yesterday The Sentinel launched this year’s search for unsung heroes from across its patch. 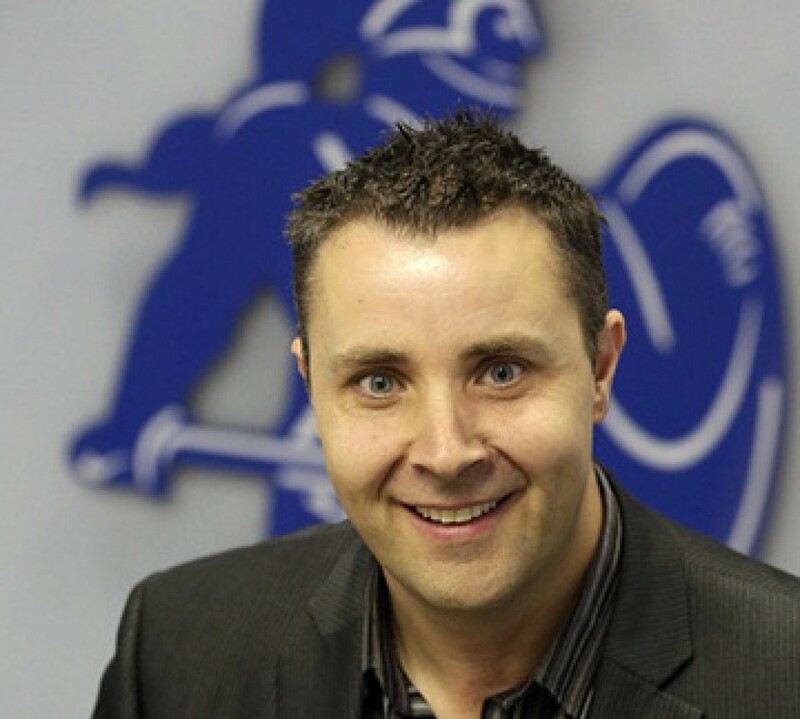 I am, of course, referring to the Our Heroes community awards campaign where this newspaper and its partner organisation – the Aspire Group – seek to highlight the lives and work of special individuals and organisations. Categories range from Child of Courage and Bright Young Thing to Adult Carer Of the Year and Charity Champion/Fund-raiser Of The Year through to School Star and Hero Of The NHS. We honour members of the emergency services and the Armed Forces as well as community groups whose efforts make such a difference to people’s lives. The Sentinel publishes their stories then our panel of independent judges convenes to choose three individuals or groups from each category who will attend a glitzy, celebrity gala night. That’s when the likes of Nick Hancock, Jonny Wilkes, Anthea Turner, Wendy Turner-Webster, Rachel Shenton, Gordon Banks, OBE, Mark Bright, Imran Sherwani, John Rudge, Peter Coates – among others – are only too happy to give the applause rather than to receive it. They turn out each year on the red carpet to pay tribute to ordinary folk from across North Staffordshire and South Cheshire who have rather extraordinary stories to tell. We’ve already had more than a dozen nominations but we’re going to need an awful lot more. Over the next three months The Sentinel will publish around 120 heart-warming stories which put paid to the myth that newspapers are all doom, gloom and negativity. Remarkably, the biggest challenge when organising an awards event on this scale isn’t arranging the seating plan, shooting 30-plus videos, selecting a menu, or chasing up the VIPs. It’s actually persuading Sentinel readers to vote for their friends, relatives and colleagues in one of the nine award categories. You see, the problem is that round here people are rather backward in coming forward – precisely because they don’t believe that what the people they know do, day-in, day-out, is out of the ordinary. They view their lives very much as the hand they’ve been dealt and just get on with it – whether that means caring for a relative round-the-clock, 365 days a year or coping with tragedy or illness. Others devote their time to helping those less fortunate than themselves or making their neighbourhoods better places in which to live. This is the eighth year of the Our Heroes awards and I can honestly say, hand on heart, it is one of the highlights of my year. Anyone who has ever attended one of the ceremonies will tell you that they are truly inspirational occasions which showcase the triumphs of the human spirit. They remind you just how lucky you are when you see the adversity others face and overcome and, put quite simply, make you want to be a better person when you see the selflessness and generosity of others. Over the years The Sentinel has published more than 1,000 inspirational stories of people who have enriched the lives of those around them. People like Edward Dyster who came up with the idea of cycling 150 miles to raise money for the Donna Louise Children’s Hospice at the age of just six. People like Dylan Kelsall, aged nine, from Longton, who has a muscle-wasting disease which means he faces surgery every six months. People like Stephen Allerton, from Meir, who gave up his job as an engineer to care for his mother, father and brother. People like cancer drug campaigner Dot Griffiths and Dougie Mac’s record fund-raiser John Leese, AKA the ‘Tin Can Man’, who have both sadly passed away since receiving their Our Heroes awards. People like Ralph Johnson, from Biddulph, formerly a teacher at my old school – Holden Lane High – who spent more than 50 years helping to rescue people who got stuck in caves. People like Colour Sergeant Gary Golbey, originally from Kidsgrove, who won the Beyond The Call Of Duty category after battling back from a brain tumour to complete the full 22 years’ service in the Army. People like paramedic Rita Davies who tackled a knife-wielding patient who tried to attack a colleague. People like Graham and Pat Bourne, from May Bank, who have devoted more than 100 years to enriching the lives of youngsters through the Scouting movement. Each story is unique. Each award recipient extremely deserving. Crucially, each story worth the telling. On September 19 this year’s unassuming yet amazing nominees will gather for another night to remember. If you know someone worthy of recognition please don’t hesitate to contact The Sentinel and help us to make them feel special. I LOVE it that so many of our personalities are proud of their roots and not only choose to live locally but do so much for Stoke-on-Trent. Yesterday I spent an hour with former Vale player, FA Cup Finalist and BBC pundit Mark Bright when he dropped in to Sentinel HQ. 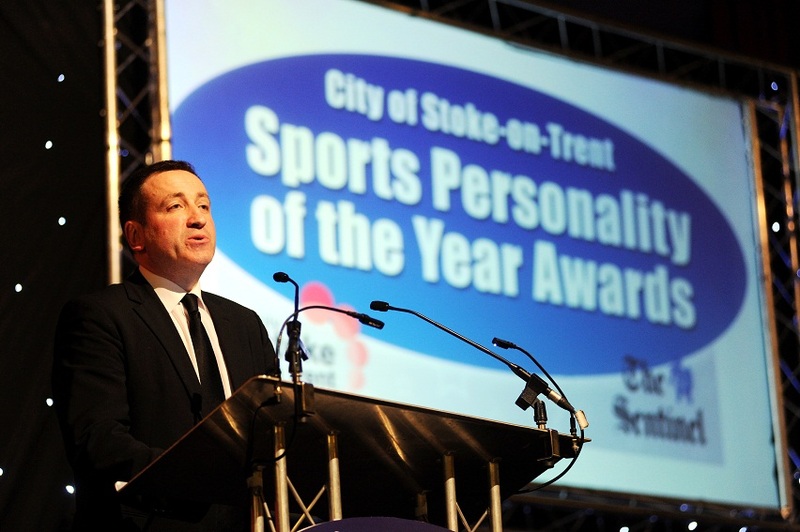 Brighty, along with Robbie Earle, Phil Taylor, Nick Hancock, Gordon Banks OBE, Imran Sherwani, Kim Barnett, and Lee Pearson MBE, OBE – to name but a few – are staunch supporters of the City of Stoke-on-Trent Sports Awards (April 7) which yours truly organises. By the same token, Wendy Turner-Webster, Anthea Turner and Jonny Wilkes are big supporters of The Sentinel and Britannia’s Our Heroes community awards. None of these stars get paid for their patronage – they just give their time because they want to support ordinary people who do extraordinary things. Celebrities sometimes get an awfully bad press but I think we’re blessed here in the Potteries with a decent, down-to-earth bunch who are all proud of their roots.